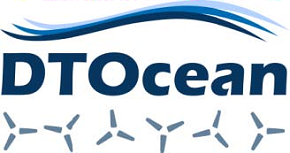 DTOcean is a European Collaborative project with the aim of assisting the industrial development of ocean energy arrays; the project was launched in October 2013. 18 partners from 11 countries (some of these are Ireland, Spain, United Kingdom, Germany, Portugal, France, Norway, the United States of America) work together within this project. The project partners include research centres, supply chain representatives and project developers. The project was funded by the EU Framework Programme 7 (FP7) for Research and Development. DTOcean has been implementing its tasks in Work Packages (WP). Two packages (WP1 and WP2) define the underpinning scope of work, particularly the range of array sizes and hydrodynamic layouts. Four packages (WP3-6) have been implementing work planning and Work Package 7 will develop the actual design tools in relation to the outputs, feedback and interactions within WP3-6. The Policy and Innovation Group led the project and were responsible for the overall coordination and management. ​For more information see the official website here.